Welcome to the 2nd link-up for the Hand Pieced QAL! We are so excited to see what you have made! Find the tutorial for this week's block here. This link-up will be open for one week - until Thursday, February 7 (4 am ET/1 am PT). You are welcome to share any and all of the blocks you completed this week. When this link-up closes, a new one will open (magic!) so please don't worry if you fall behind. 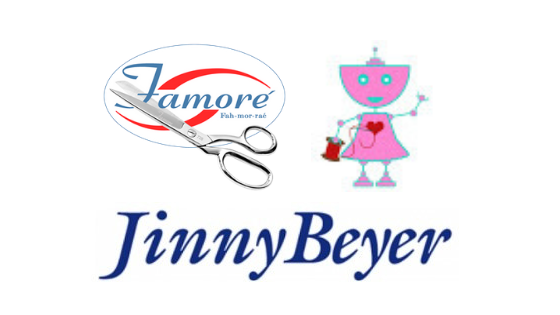 This week's prize bundle includes a Jinny Beyer Perfect Piecer, Famore snips, and unicorn thread gloss from Robot Mom Sews. These items are never far from me when I'm hand sewing! 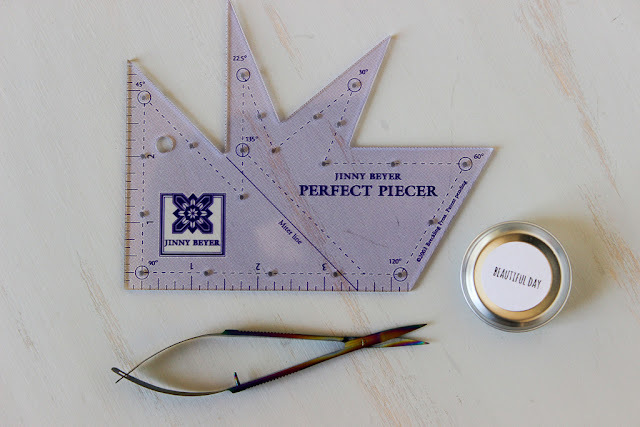 The Jinny Beyer Perfect Piecer is a simple tool designed to help quilters achieve perfect points and even stitching lines. The Famore EZ Stitch Snips are perfect for all sorts of needle arts and allow you to get under those tiny stitches for easy removal. And the Robot Mom Sews Unicorn thread gloss conditions your thread to make it glide easier through fabric and it helps eliminate unwanted knots. Photos can be shared from a blog, Flickr, or Pinterest and much include a link to Elm Street Quilts or Simple Handmade Everyday. Photos can also be shared via a public Instagram and must contain the tag #handpiecedqal. Don't have a way to share? You can also email them to handpiecedqal@gmail.com. Never joined a blog link-up before? See the tutorial. Blocks shared must follow the guidelines below to be eligible to win a prize. We hope you take a few minutes to visit others and make new friends! Please note - sharing a photo in the link-up gives Elm Street Quilts and Simple Handmade Everyday permission to feature a photo of your block on their sites. Full attribution will be given. Blocks must be entirely hand-pieced. Block must visually match a block from the QAL. The block can be constructed using different units (ex: using two HST to make a flying geese).. Blocks can also be made a different size. Finished blocks can be shared in any link-up but can only be shared once. Duplicates will be disqualified. 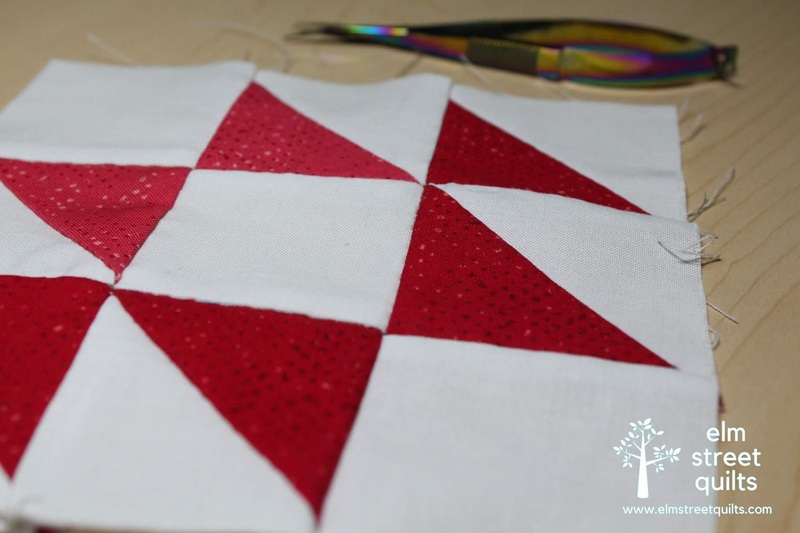 Multiple blocks created by one quilter may be shared in the same link-up. Winners will be chosen randomly and notified via email. Winners have 72 hours to claim their prize - if we don't hear back, we will draw another name. Once winners have claimed their prize, this post will be updated with the winner's name. This prize is only available to be shipped within the US. For more information on the QAL including catching up with any tutorials you've missed, please visit the main event page - Hand Pieced QAL. You can also join our Hand Pieced Quilt Along Facebook Group and / or subscribe to our newsletter so you'll be among the first to know about new block tutorials. Great prizes for the giveaway this week ... I love my Perfect Piecer! I struggled a little bit with the triangles, but I'm happy with the results.